The example above features standard ad units occupied by Integral. Homepage takeovers can also include higher impact, non-traditional placements. 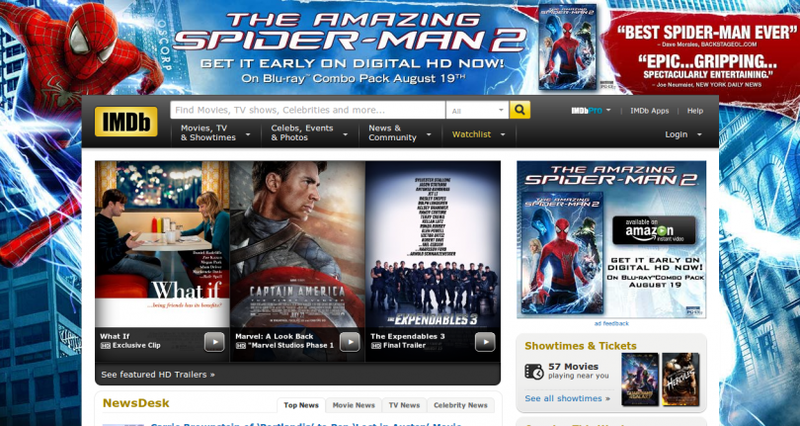 IMDb.com regularly implements a homepage takeover the includes the IAB standard units on the homepage as well as “skins” that surround the content. High Impact. Essentially, the theory here is that 1 + = 3. In other words, the reinforcement of the advertised brand gets additional exposure as a result of being seen multiple times on a page. Co-Branding. The high frequency (i.e., 100% SOV) of the ads also allows advertisers to maximize the co-branding benefits that come with being associated with the publisher. 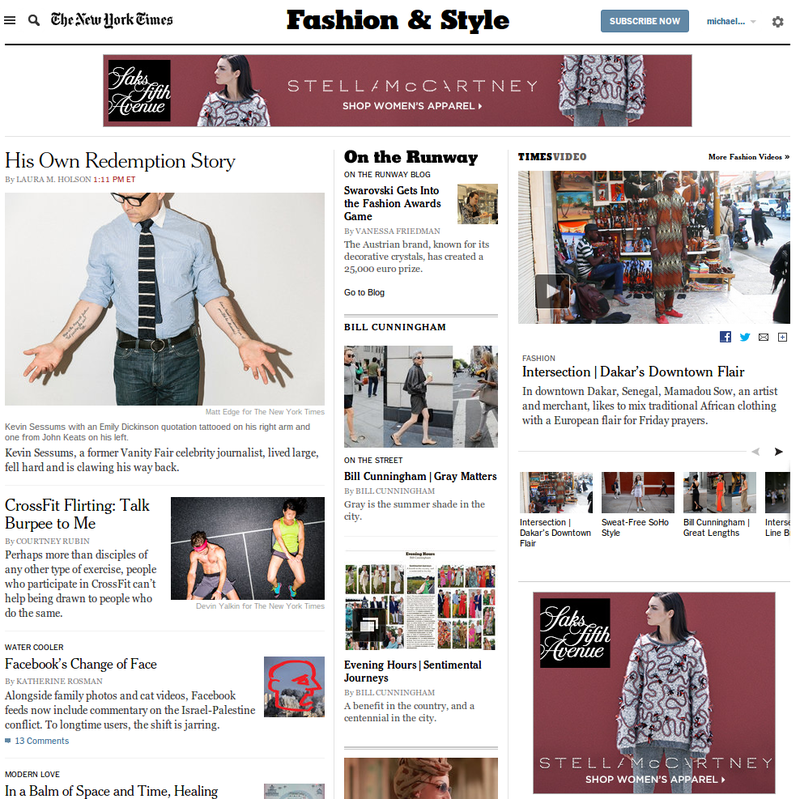 A homepage takeover is a way to create a link between the respected publication and brand being promoted. For most sites, the homepage will be the most heavily-trafficked page. As such, it’s the most commonly targeted page for a takeover. However, it is also relatively common for advertisers to “take over” other pages on a site (more on this below). 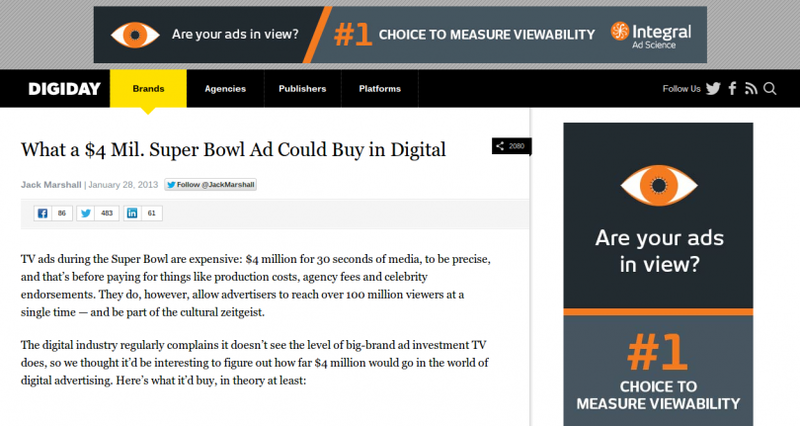 The simplest way to price a homepage takeover is to charge the advertiser the standard CPM for the ad units shown. For example, assume a homepage that includes a 728×90 leaderboard normally priced at a $5 CPM and a 300×250 rectangle priced at $15. If the homepage receives 2,000,000 monthly views, the price tag would be $40,000 ($20 x 2,000). Higher CPM: As mentioned above, the homepage takeover can deliver additional value by coupling ads from the same advertiser together. Moreover, it generally requires some additional work to implement properly. Lower CPM: Because homepage takeovers generally represent a substantial number of impressions. As such, it may be appropriate to give a volume discount. Because the exact number of impressions is difficult to estimate in advance, many publishers will estimate or simply charge a flat fee that roughly corresponds to the effective CPMs deemed to be appropriate. Many large publishers sell homepage takeovers on a flat fee basis. Yahoo! and AOL reportedly charge close to $500,000 for advertisers to take over their homepages for a single day. High quality of advertisements (coordinated ads on the home page generally give a higher impression of quality, especially compared to text-based ads).